More and more companies in any sector are already applying Artificial Intelligence andadvanced data analytics to their business processes, be they simple or complex, in order to improve their decision making . In the medium,to long-term, this application will be extended to all sectors. There will be more and more interaction between devices , using IoT technologies, with which Prescriptive Data Analytics can be applied to many processes and gadgets. This will allow you to automate the decision and the action to be taken by the artifacts depending on what happens with others around them that they are conected to . This will happen both at the business level ( factories , warehouses , etc . ) 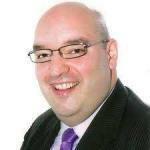 , and at the socia level ( home , vehicles ,among others). They are already a reality: Cloud technologies and Cloud computing. In the medium-longterm, the”on-premise”servers will tend to disappear, be coming the vast majority “on demand“, fully scalable together with variable costs. 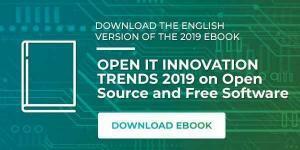 Open technologies have played , play and will play a key role because, for example, with open software such as Python, we can apply the most modern and efficient versions of the Predictive Algorithms that the Scientific Community is developing, with absolute immediacy. On the other hand, in general the fact that free and open technologies have such a large community of developers behind makes the evolution of these technologies very fast, an aspect that is absolutely necessary nowadays to be able to get adapted to the technological maelstrom where we are immersed. Javier Orús Lacort, CEO & Co-Founder of PredictLand. 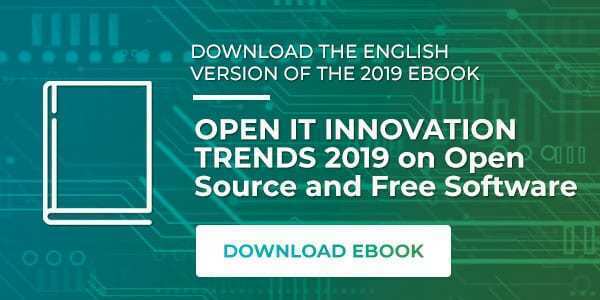 If you want to know more technological trends proposed by more professionals like this, download it by clicking on the next link: Ebook “Open IT Innovation Trends 2019: Open Source and Free Software trends 2019”. Also, if you want to know better the trends on artificial intelligence, follow our section on the subject every Monday in our blog.